Can I arrange a site visit? Certainly. Contact the office for a no-obligation appointment to discuss your project. Do I need planning permission for my oak barn? And Do you help with planning? We always advise clients to check with their local planning office, especially if the property is listed, in an Area of Outstanding Natural Beauty, in an Area of Scientific Interest or within a National Park. It is also dependent upon the size of the building and the proposed location on the property. For example, planning permission will be required if the proposed building is to have a ridge height of above 4 metres or is closer to the front boundary than the dwelling. There are many restrictions on planning but we can assist you in both your planning application and Building Regulations (if they apply) for a set fee. Do your oak framed buildings comply with Building Regulations? 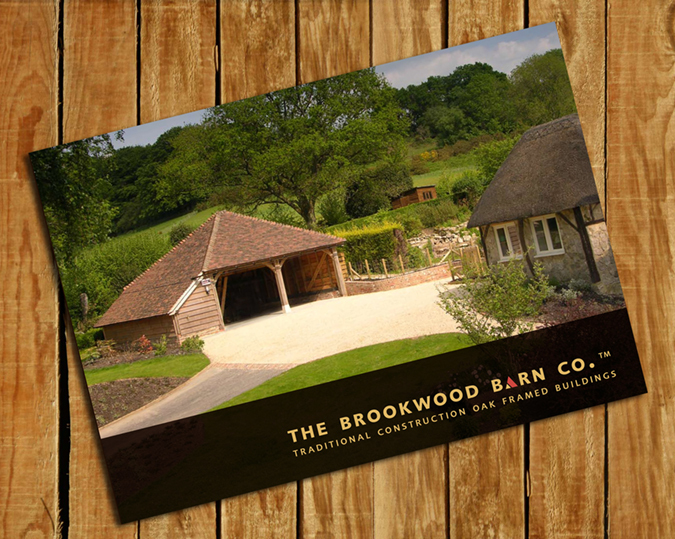 All our oak framed buildings and groundwork comply with Building Regulations. Do your oak framed buildings comply with Fire Regulations? The most common requirements for Fire Protection on oak frame buildings are boundary location and two-storey structures. The supporting oak framework in our two-storey buildings is above structural requirement meaning it will achieve the 30 minutes charring time required by current Fire Regulation. This is standard practice with The Brookwood Barn Co Ltd™ but often ignored by other timber-framing companies. Complying with Fire Regulations retrospectively can be very expensive and unsightly. Do you manage the whole project? Yes. We prefer to take on everything from the groundworks through to power and water services. This way we know the work is completed to our high standards and on time. Do you pre-construct the oak buildings from kits? We cut all our barns to order most of which are based on standard module sizes (over 200 in our range). As we cut all our oak frames ourselves we are always happy to tailor our services precisely to our clients’ individual needs, cutting bespoke frames ranging from small garden structures to oak-framed houses. Do you cut the oak and make the barn on site? At our workshop the oak is cut to size and the joints made. The oak frame is then assembled, checked and de-assembled in the workshop before being transported to site and then erected, often within a week, resulting in a fast, clean and efficient job. Can you install water and power to my oak building? Yes, dependant on location of mains services to the building. What is the ‘SuperSize’ building? This is our new range of frames which offer you very wide bays as standard. Each bay provides over 3.66 metres (12ft) in width (measured from centre post to centre post). These buildings are designed to allow doors on both sides of a good-sized family vehicle to be fully open at the same time, giving easy under cover access. We offer a 10-year guarantee on all our oak timberwork (excluding damage caused by exceptional weather conditions or insects). Oak is a natural material and may split during drying. Depending on climate conditions, it may also shrink or expand. None of this represents any long-term adverse effect on quality. Do you use oak cladding? We can provide oak cladding but experience has shown us that a thick softwood cladding, such as larch, out performs oak cladding, which is expensive and splits easily. Do you treat the oak? Oak is a naturally tough material, which does not require treatment. The softwood rafters used in the roof are clear pressure treated. The softwood cladding used on our buildings is usually made of thick larch which naturally contains oil, so does not need additional treatment. Some customers do treat the oak with various oils periodically but this is not a service we provide. If your building has doors then we will treat them with oil. How do I maintain my oak framed building? No maintenance is necessary on the oak frame. The larch cladding naturally contains oil and will silver with age if untreated, however some customers choose to treat the wood to change the appearance. Doors can be treated with oil annually. How does being a member of The Guild of Master Craftsmen benefit me? Membership of the guild distinguishes us from the unskilled who pass themselves off as craftsmen. You are assured of workmanship of the highest standard. Go to www.guildmc.com for more detail.